A must for all yogis and yoginis, beginners to advance! Come and discover how careful placement of the furniture, objects, colors, materials and smells can affect your emotions, your mood and your well-being. The way we arrange our houses and offices influences our health and motivation to act more than we are aware of. Our house can be a place where we rest, relax, refresh and enjoy but it also can be a place which makes us tired and deprives us from our own energy. Feng Shui – an ancient wisdom that teaches you how to create balance, good energy and harmony in your home and in your life. We know that a pleasant smell in the house can improve the mood and create memories for life. Aromatic fragrant plant essences in our home have the power to free the soul. Darina will share with you principals and concepts of Feng Shui and how to apply it practically in your home. 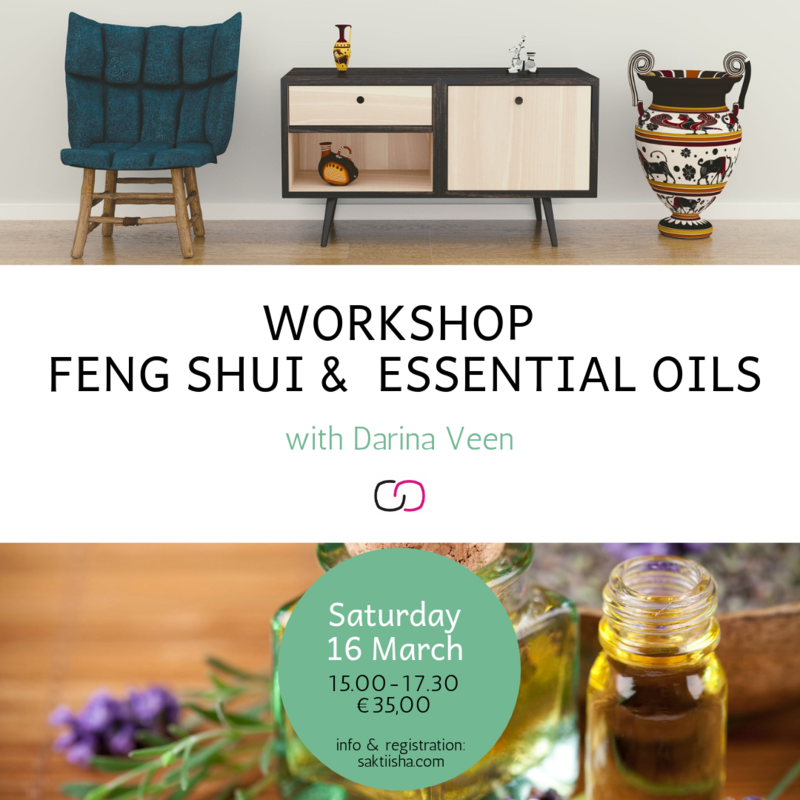 In this workshop you will learn through the philosophy of Feng Shui, how to re-decorate your house to stimulate your physical and mental well-being and to allow changes in your life. Bring a floor plan of your house and some photos with you to the workshop. We will work with them. Because you will take home not only new insights and lots of inspiration, but also your own plan with what and how to change in your home.